Gas is currently the most popular choice among homeowners, thanks to its convenience, efficiency and safety. A direct-vent gas fireplace can be installed almost anywhere; most gas fireplaces burn natural gas, but many can be installed to burn propane. 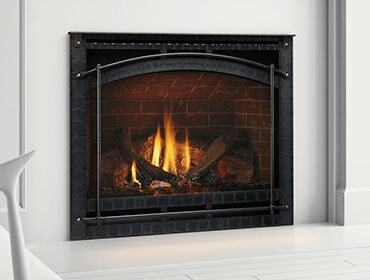 In addition, direct-vent gas fireplaces use outside air for combustion, and expel 100% of the combustion exhaust and by-products outside the home.